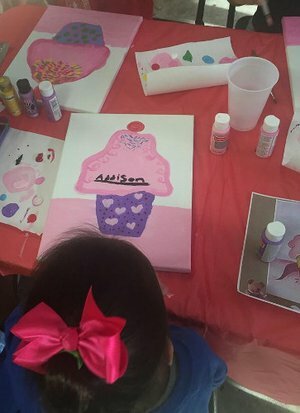 My art classes are designed to enhance your child's creative side, while learning basic painting techniques in a nurturing and inspiring environment. The classes are a great way to build social skills and boost self confidence. Creating something from their imagination is a positive way to help a child realize they are able to accomplish goals and complete projects. I will also teach them some simple facts about art history and famous artists, depending on their age. I focus on strengthening fine motor skills and enhancing the children's artistic vocabulary. 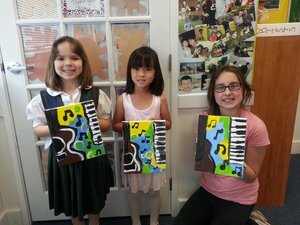 Class sizes are kept small to allow more individualized attention and create the most rewarding art experience possible. After all, kids learn more when they enjoy what they are doing! Each class features a new and exciting art project. The materials for each project are provided and included in the cost of the lesson. Materials include, but not limited to: canvas, paint, brushes, palettes, water cups, table covers, smocks, sample of the painting that we will follow, as well as blow dryers for faster drying time. On Tuesdays, we work with with acrylic paint on 8x10 canvas. I provide a picture of the painting that we will recreate and the children are guided step-by-step throughout the class until the project is completed. I focus on the correct way to hold a paint brush as well as proper painting techniques. We use a variety of brushes, from a thin brush to a filbert, even up to a large flat brush. Occasionally, instead of acrylics, craft projects such as terra cotta pots or designing t-shirts, aprons and/or tote bags will be done instead. Children's art lessons on Friday's include a variety of artwork and projects. During these classes, we will use oil pastels, watercolor, acrylic paint and decoupage. Children are guided with step-by-step drawing instruction to create their picture and complete it by using one of the above medias to bring it to life. This class is great for children ages 6 and up. 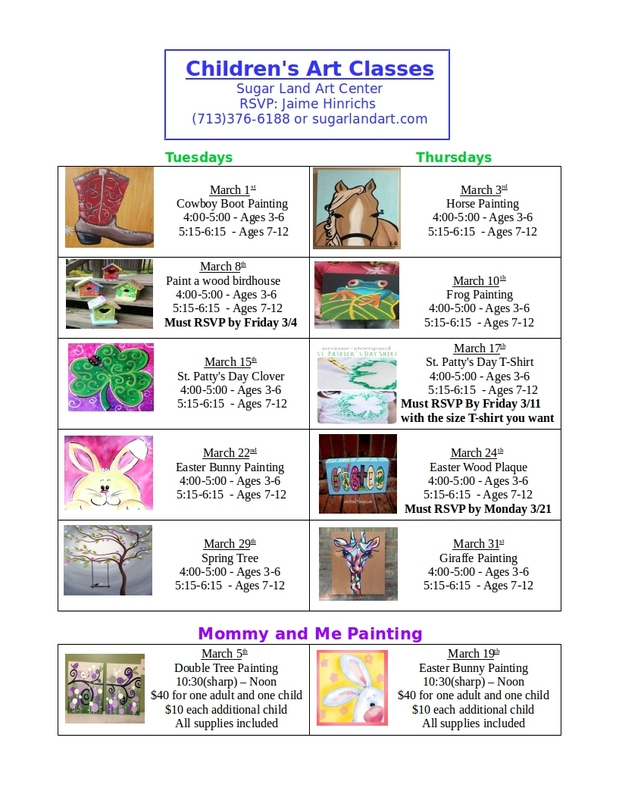 Join us for Mommy & Me Painting Classes! 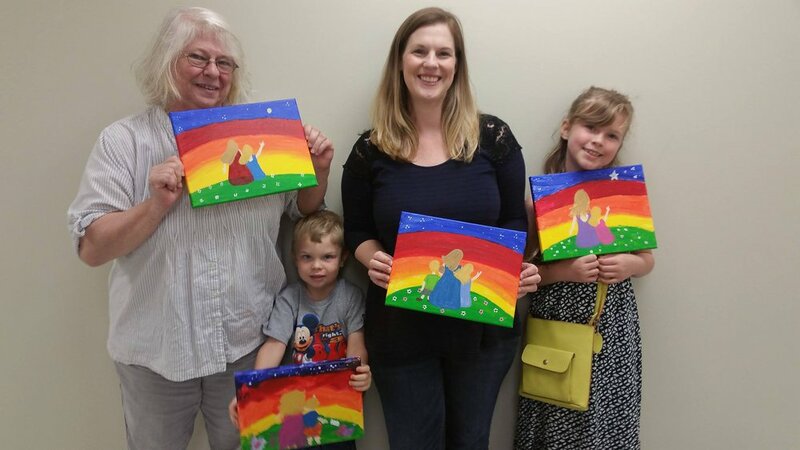 Bring your son, daughter, Grandchild, nieces and/or nephew to paint a picture together for a memory that will last a lifetime. Each class goes step-by-step through the project. 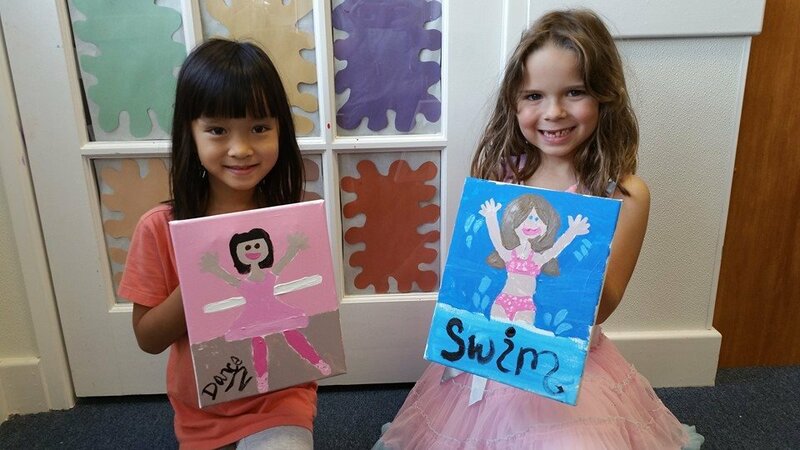 You and your child will paint together to create a special set of pictures to bring home. The paintings are great wall art that will remind you of time spent together each time you look at them. We have new projects each class, occasionally craft projects as well. All materials are provided and included in the cost. Next time you want to bond with the young person in your life, you can create something completely different together! Do you want a different, fun, memorable and creative party for your child? 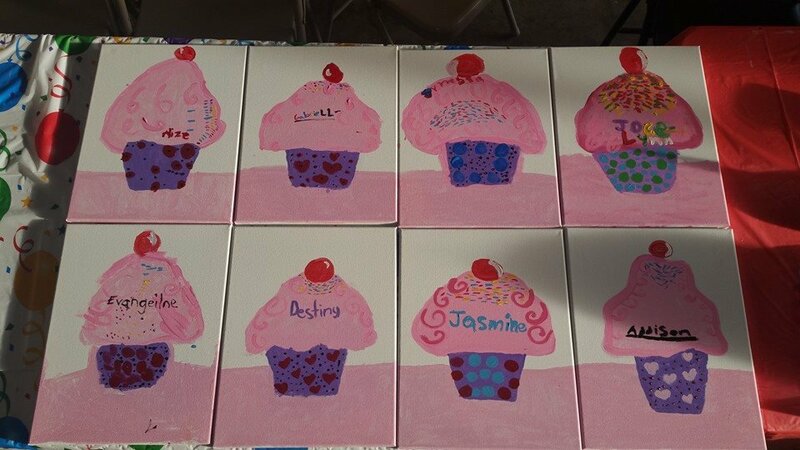 At our painting parties, hosted in Fort Bend, your child and a group (of 5+) of friends can have an experience of creating something with friends in a welcoming environment. Have a group of children that need a creative outlet? Group lessons are a great way for a class to learn about art, color theory and other selected topics together with their peers in a safe environment. 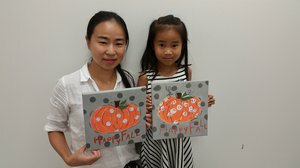 Each child attending the party or group lesson will create their very own painting on canvas to take home and show off. You can book your party or group event with me to be hosted at the The Sugar Land Art Center or I can bring the party to an agreed upon public venue. 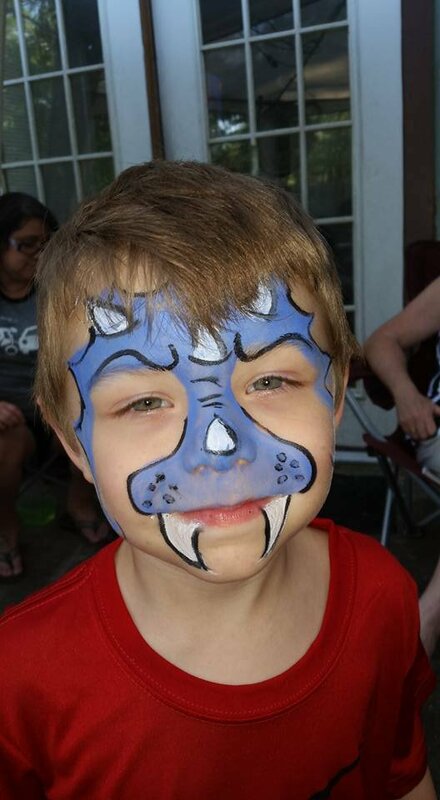 Need a Face Painter for your child's next birthday party or special event? Look no further. I only use hypoallergenic/non-toxic face paint that is completely washable (with mild soap and water). Have a special theme for your child's birthday party? I can paint the children's face to match the theme or each child can pick from my portfolio to match their personality and stand out from the crowd. 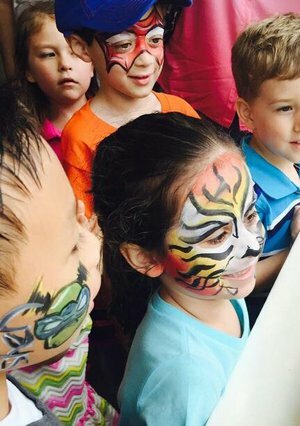 If you are looking for face painting in Sugar Land, I will come to your public event or you can book an art party with me at The Sugar Land Art Center. Call today to register your child. Space is limited. You can also check out my Facebook, where I post pictures of projects and updates frequently.